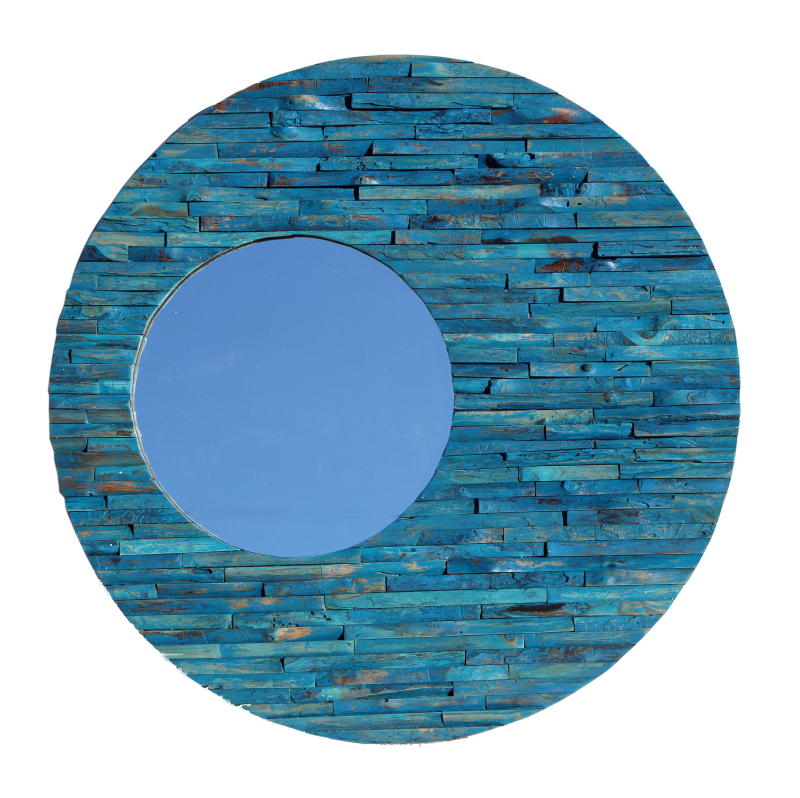 The blue wood orbit mirror/wall art has a zen vibe that will enhance any neglected wall space tastefully. it has metal brackets and hangs easily. It's made with reclaimed wood. W 36" / D 2 / H 36" / 24 lb.